Husband-wife-fronted retro-pop art-rock group HUDOST recently partnered with STEREO EMBERS to premiere “Rise Together,” the lead single from their forthcoming full-length album OF WATER + MERCY (due April 05, 2019). The song features an anthemic chorus and finds HUDOST’s Moksha Sommer and Jemal Wade co-writing with Jars of Clay lead vocalist Dan Haseltine. Additionally, all the Jars of Clay band members were involved on the single—which was recorded at Grey Matters Studio in Nashville, TN—along with Vance Powell (Jack White/White Stripes, Pearl Jam, Brandi Carlile, etc…) running point on the mix. 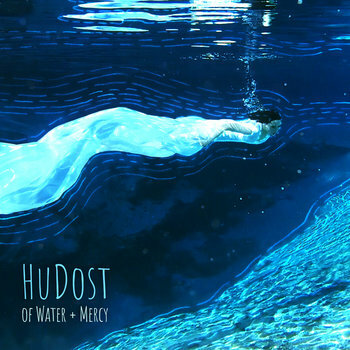 Throughout the eight tracks on OF WATER + MERCY--the eighth full-length studio album from HUDOST--there’s a rich, eclectic blending of pop and rock with a sound that crosses all borders and barriers, taking the listener on a journey. From Montreal and Kentucky, HuDost weaves a seamless tapestry of sound from the core musicians of Moksha Sommer and Jemal Wade Hines. Having toured the U.S., Canada, and Europe consistently since April 2006, HUDOST’s highlight performances include Bonnaroo, Resident band at FloydFest, BhaktiFest, World Café Live, Blissfest, Music City Roots, The Montreal Folk Festival and much more. HUDOST have grown and expanded, travelled rocky and glorious terrain and marveled at all they can learn and explore. Moksha and Jemal Wade in this time have grown as artists, as seekers, as a couple and as a family. 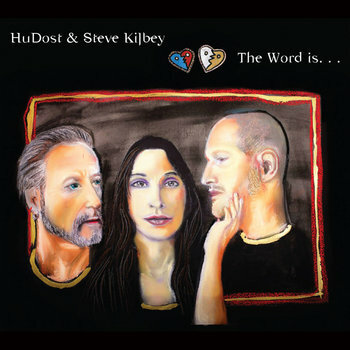 The Neo-Folk World Rock duo, HuDost (from Montreal & Kentucky), team up with Steve Kilbey (lead singer & bassist of The Church) for an experimental collaborative album called 'The Word is…'. The record also features Jon Anderson of YES on a sprawling 8 minute multi-leveled track called OMEGA. In addition to the familiar and luring lead vocals of Moksha Sommer & Steve Kilbey, the album features HuDost guitarist Jemal Wade & Steve as multi-instrumentalists providing sonically rich layers of guitars, bass, synths, mellotrons, piano and varying electronic treatments. The record also features musical contributions from Melissa Hyman on cello, Sofia Goodman on drums, Kai Welch (Abigail Washburn) on horns, Joe Garcia on Pedal Steel, Cybele on Sarangi & Stephan Junca on percussion. 'The Word is...' was a labour of love created over the course of 3 years and was produced by Jemal Wade Hines. Master sound man Oz Fritz (Tom Waits, Bill Laswell, Zakir Hussain) mixed the music to perfection. The album was mastered by Dale Becker of Bernie Becker Mastering. Besides the 8 original co-written tracks, there's also a cover of the Velvet Underground's 'Sunday Morning’ that was recorded the morning Lou passed away, as well as a re-working of Kilbey's classic track 'Something That Means Something'. The album cover art features a beautiful painting by Steve Kilbey as well as more album art throughout the packaging by renowned artist E.J. Gold. 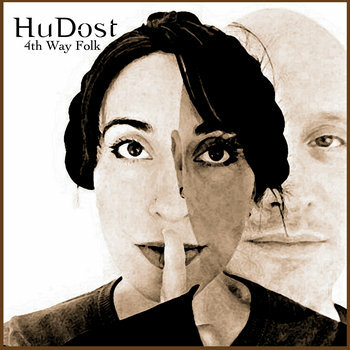 HuDost's 2013 release '4th Way Folk' is a stripped down organic acoustic affair. While touring constantly over the past few years, continuing to write new songs for the next ‘proper’ HuDost album (as well as working on a ‘Sufi Kirtan’ album & experimental project with The Church’s Steve Kilbey), we struck up a relationship with BLUE MICROPHONES and acquired a few of their mics as well as their awesome sounding Robbie PreAmp and other studio upgrades. This led to the idea of us wanting to do an acoustic album of our revisions and renditions of both ‘vintage’ and modern day folk songs. With the beautiful BLUE mics, we wanted to capture the raw purity & essence of our vocal harmonies and instruments without all the effects, electronics, feedback, amplifiers, etc. (Don’t worry...we’ll be back there soon!). Five of the tracks are actually ‘4th Way Folk Songs’; traditional folk pieces transformed & gleaned from the ideas of people like Gurdjieff & E.J. Gold. At one point in the project, we sent two of the tracks out to Oz Fritz & IDHHB so he could record ‘gang vocals’ with E.J. and the crew. He sent back varying tracks of everyone singing and rapping and improvising along with ‘Holy Hobo’ & ‘4th Way Liner’. E.J.’s ad-libs are amazingly candid, jolting & fun and add beautifully to the essence of these versions. This recording project is truly homespun. Jemal took it as an assignment to bring forth clarity in his engineering skills as well as taking a shot at mixing the project himself. 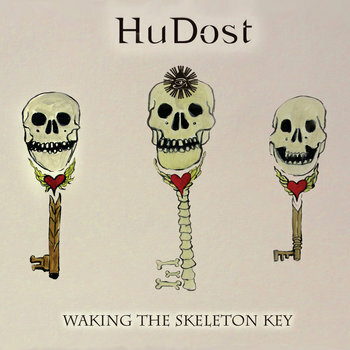 HuDost's 2010 ‘Waking the Skeleton Key’album contains the first songs written by lead singer Moksha Sommer since she underwent brain surgery to have a tumor removed which impacted her language abilities. Music was her primary tool in regaining what was lost and growing as a musician/lyricist. Both her resilience and the fragility of life come through in these songs. This collection also contains remixes of tracks from their last album ‘Trapeze’, produced by Grammy Winner Malcolm Burn (Bob Dylan, Emmylou Harris, Peter Gabriel) and was mixed by Grammy Winner Oz Fritz (Tom Waits, Bill Laswell, Primus). "The New Lebanon-based band HuDost has a new 2010 release, “Waking The Skeleton Key,” expanding on the groundwork set by last years “Trapeze,” their previous release produced in Kingston by the renowned Malcolm Burns, which made it into out top 10 regional albums of 2009. HuDost centers around stunning vocalist Moksha Sommer and partner, the guitarist Jemal Wade Hines. This journey starts of with “Skeleton Key” a whirling dervish of sounds that swirl around until vocalist extraordinaire Sommer swoops in and lands dead center. The circular song then lifts off as layers of guitar fight for attention, but in the end, Sommer pulls focus with her luscious, gorgeous voice. More exquisite exotic fare follows (favoring one-word titles) from the dreamy “Korea,” the uncommonly warm “Glacier,” the bleak but compelling “Hunger,” the scientific machinery of “Invisible” and inventive “Invention.” All are well thought-out and cleverly produced. 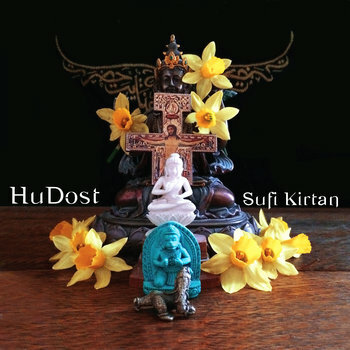 Teeming with gorgeous gifts, HuDost proves it can do it on its own, and that their music needn’t be blatantly commercial to find a home, just be blindingly good. As they say, the radio-ready Sommers could sing the phone book and it would sound good. That “Waking The Skeleton Key” has an underlying spiritual bent is just icing on a multi-layered cake. 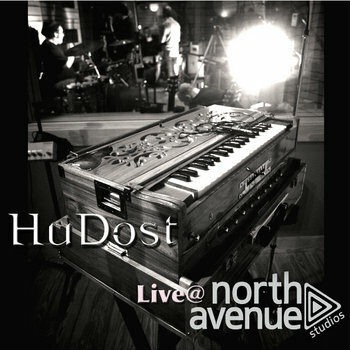 Seek out HuDost, you won’t be disappointed, you’ll be anointed." 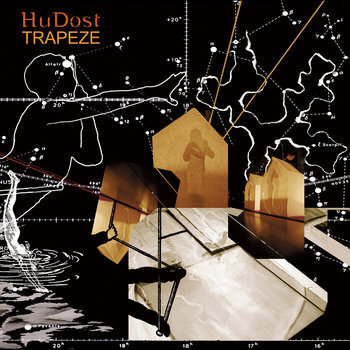 “Trapeze,” HuDost’s 3rd album, released in 2009, continues to break any typical musical boundaries, including cultural and linguistic, instrumental and vocal, historical and present-day, with impressive ease and flowing concoctions of different instruments and powerful, yet beautiful vocals. Shortly before the recording process for ‘Trapeze’ began, Moksha was diagnosed with a brain tumor. The recording process occurred during the period of time between the diagnosis and surgery. None of the songs that were recorded directly reference her health but speak of the kind of yearning, darkness and raw vulnerability that we all experience at one time or another, and the consequent hope and love that we are granted access to when we are shocked out of our habitual patterns. They also speak, with subtlety, of what she had experienced during the mind-altering seizures that occurred randomly and daily due to the tumor. Moksha had no way of knowing whether she would die from undergoing surgery, so the songs on ‘Trapeze’ bear the language of “swan songs” or potential final works. Though they are usually titled “indie,” most won’t classify HuDost into a category, and often compile elaborate descriptions in an attempt to categorize this eclectic group. Their original work has been described as ranging in style from “Alternative World Music” to “Country and Eastern” fusion, coupled with atmospheric, experimental sound. They synergize traditional Sufi music, Bulgarian, Croatian, Macedonian and Balkan folk music, Georgian, Farsi, Turkish, Arabic, Folk, Pop, and Rock. Moksha has traveled the world and studied 12 distinct vocal styles with master vocalists. 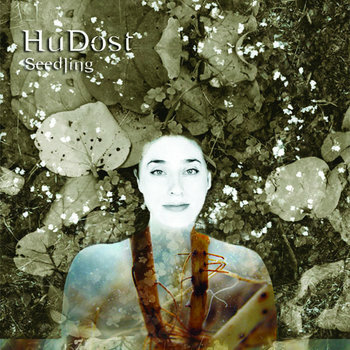 HuDost's 2nd album 'Seedling' from 2006 is a breath-taking culmination of various sonic moods and musical traditions blended into a unified and wholly heartful sound. With nine original compositions and three traditional pieces, which have been born into cross cultural arrangements by the group, this album is both honestly familiar and ecclectic. In a review of HuDost's 'Seedling', Chronogram Magazine said "HuDost has a folk quality yet is quite post-modern; the band offers new takes on ancient words and melodies, cross-cultural hybrid transcendental chill-out music with an edge. (The album will even be agreeable to those whose spiritual music is punk.)... This is not fluffy new-age music - it's serious, complex fare with no aversion to addressing agony. Sommer's vocal execution is precisely orchestrated, her voice-opening, hollow-toned vortexes piercing through the tough spots. This album is a journey of music and spirit." 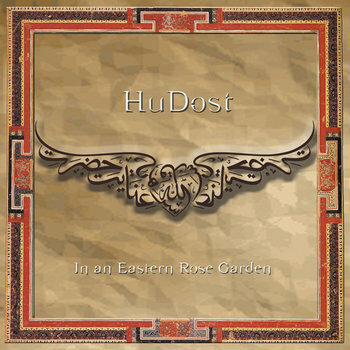 'In an Eastern Rose Garden' is HuDost's 2005 debut album of Sufi songs. To celebrate HuDost's 10th Anniversary and their release of their new 'Sufi Kirtan' record, we now present you with a new remastered 2015 version of 'Eastern Rose' by Dale Becker of Bernie Becker Mastering which is being reissued in both physical & digital formats. "These beautiful atmospheric, warm and resonant songs weave the evocative, exquisite poetry from Muslim mystic poets, including the well-known Sufi, Rumi, as well as Pir-O-Murshid Hazrat Inayat Khan and Yunus Emre of the Rifai Marufi Order. With stylistic colors of folk, new age and pop presented with the colorful harmonic vocubulary of the East, this gentle album delicately pairs the two art forms with great success." "I love this CD! Many artists, in the past, have tried to give new life to the words of Hazrat Inayat Khan, Mevlana Jelaluddin Rumi, and the others on this CD, through music. None has done as elegant a job as Hu Dost! The three beautiful voices harmonize in a compelling and evocative atmosphere, the rhythms are an echo to your own heart. The instrumentals add a grace to the songs that inspires, rather than detracting from the message. Visually, the CD package is a treasure with the book insert designed by Jemal and with artwork from Micheal Greene and others. I whole-heartedly endorse and recommend this CD first to anyone who is interested in the Chishtiyya lineage as it has come forth in the West, secondly, to anyone who love first class music that brings forth one's spiritual nature, and lastly to anyone who just plain loves great music."